The Chittor Fort or Chittorgarh is one of the largest forts in India. It is a UNESCO World Heritage Site. The fort was the capital of Mewar and is today situated in the Chittorgarh town. It sprawls over a hill 180 m (590.6 ft) in height spread over an area of 280 ha (691.9 acres) above the plains of the valley drained by the Berach River. The fort precinct has several historical palaces, gates, temples and two prominent commemoration towers. These monumental ruins have inspired the imagination of tourists and writers for centuries. 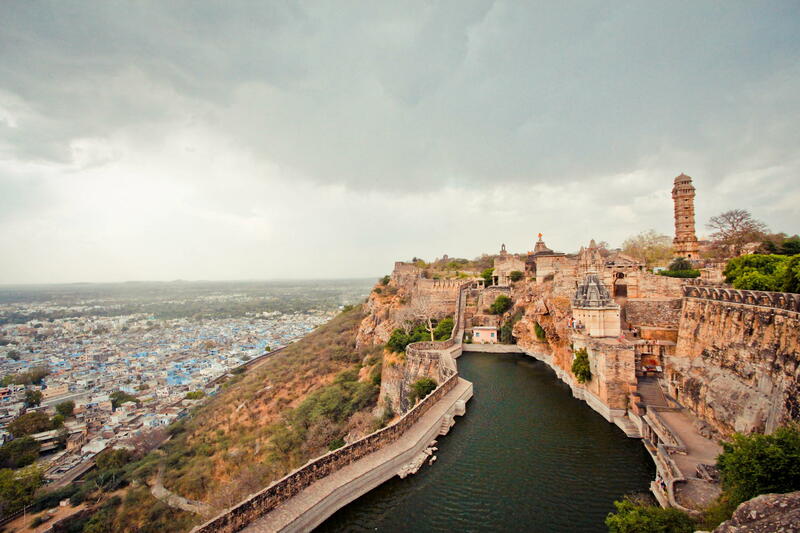 1.Water Fort :- Chittorgarh fort is also called as Water Fort. The fort had 84 water bodies, out of which only about 22 exist today. These Include talabs (ponds), kunds (wells), and baories (stepwells). All the talabs have a natural catchment. The kunds and baories are located below the talabs, so that even the seepage from the latter is not lost. 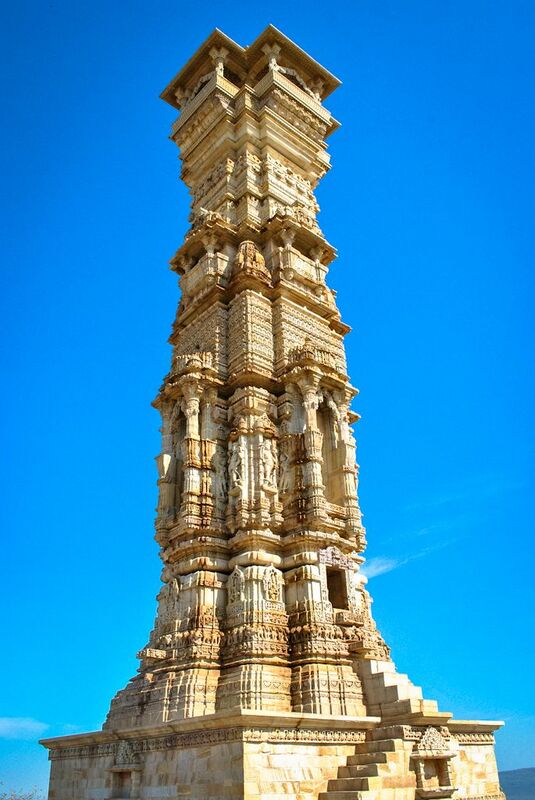 2.Tower of Victory - (Vijay Stambh):- Built in 1440 AD by Maharana Kumbha to commemorate his victory over Mohamed Khilji this 9-storyed tower is adorned by sculptures of Hindu deities around. There are around 157 narrow steps leading to the terrace where the balconies give a beautiful top angle view of the whole town. When illuminated in the evening, the tower reflects a mesmerizing effect and the view is worth capturing in the camera. 3.Tower of Fame - (Kirti Stambh): - Dedicated to Adinathji the 1st Jain Teerthankar adorned by the naked figures of the Digambars [Adherents of the Digambar sect who does not believe in covering the natural body] A narrow stairway goes through seven stories of the tower to the top.The 22 metres high tower was build by a wealthy jain merchant in the 12th century A.D.
4.Padmini Palace:- The palace, once the scene of an incident directly responsible for the bettle between Allauddin Khiliji and Rana Ratan Singh, is a distinctly feminine structure that overlooks a pleasant pool. 5.Meera Temple:- Build by Maharana Kumbha in 1449, this lord Vishnu Temple has beautiful idols in its sanctum, mendap and pillars. In the same premises, there is a small temple of Lord Krishhna. 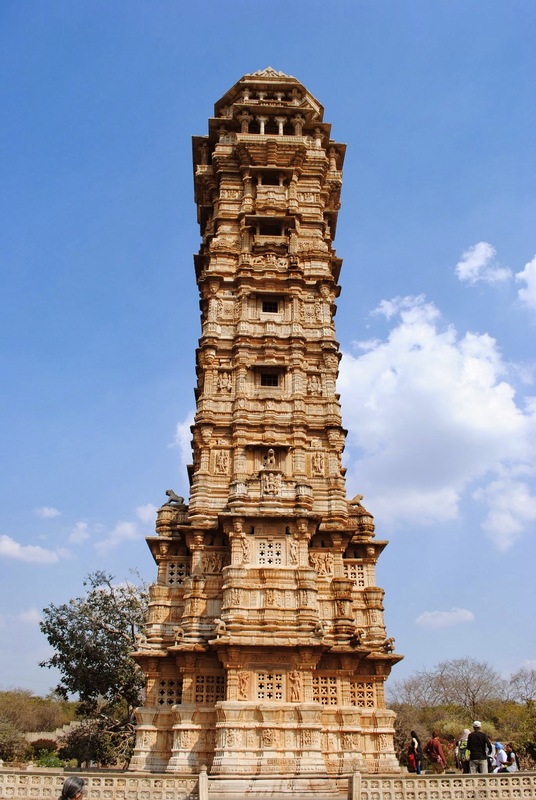 The Sanwaliaji temple of the Dark Krishna is situated on the Chittorgarh - Udaipur Highway, at the town of Mandaphia, about 40 kilometers from Chittorgarh. The deity also known as Shri Sanwaria Seth.The legends has it that in the year 1840, a milkman named Bholaram Gurjar dreamt of three divine statues buried under the ground in the Chapar village of Bhadsoda-Bagund. Located just 40 from Chittorgarh - the historic city of valor and devotion - Mandaphiya is now known as Shri Sanwaliya Dham (The residence of Lord Krishna) and is second to Shri Nathadwara to the followers of the Vaishnav Sect. People believe that all their desires are fulfilled when they visit Shri Sanwaliya Seth's Darbar (Court of Shri Sanwaliya Ji). we offer several Udaipur to Chittorgarh and Sanwaliyaji Taxi packages. You can book your cab/taxi with us or also call our customer care number to explore the various tour packages from Udaipur to Chittorgarh. Customers are provided with options for one way, single day as well as multi-day car packages from Udaipur to Chittorgarh and Sanwaliyaji. Car Rental services available for all cab types AC, Non AC, Economical, DZire, Etios, Tavera, Innova, BMW 5 Series, Tempo-Traveller and Minibus at affordable prices. Read More about: Book Udaipur to Chittorgarh Taxi Online.